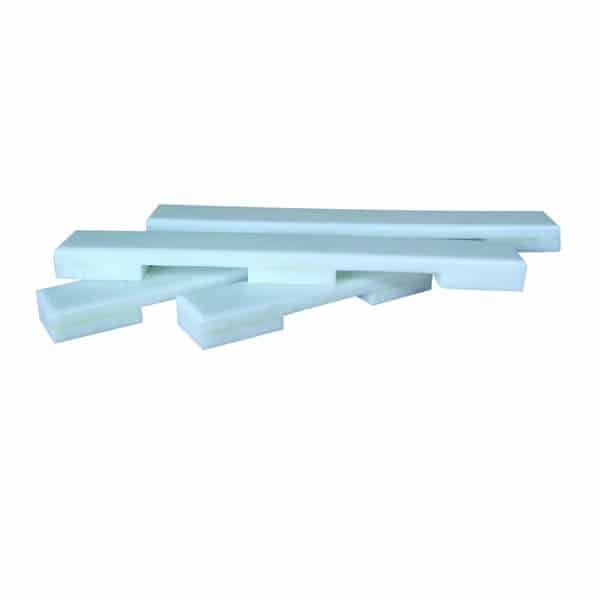 These four body slats can be used to elevate the body on a table during any autopsy or mortuary preparation. Elevation slats provide unobstructed drainage of fluids. Can be used in any anatomical location. Easily cleaned with Mopec BE047 Bench and Surface Cleaner. The suggested placement of the slats are head, shoulders, buttocks and heels.